Both private and commercial clients love this resource for luxury flooring needs. Wurts Carpet Outlet 8205 Ronson Rd. Ste. 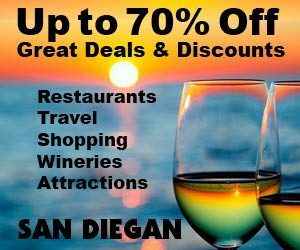 I, Kearny Mesa, (619-299-0300). http://www.wurtscarpetoutlet.com/, Open Mon-Fri 9 a.m.-5 p.m., Saturdays 10 a.m. – 4 p.m., Sundays by appointment only. 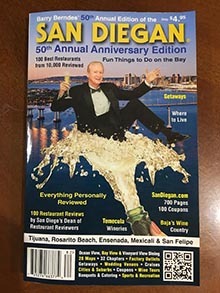 This is San Diego’s best wholesale flooring store; Wurts Carpet Outlet offers the public the same products and pricing that designers and contractors get. They represent only the finest high quality flooring manufacturers. Seasoned flooring experts perform the installations, all working under a California contractor’s license. Se habla español. Military Discounts. Credit Cards: AE, DISC, MC, VISA. Outstanding manufacturer warranties protect your purchase. Installations are guaranteed, thus you can put your mind at ease. At Wurts Carpet Outlet, customer satisfaction is a top priority, and they always work with you to get you the best flooring at the best deal. Stop in and visit them today to experience quality, service, and wholesale pricing like nowhere else! The Wurts Carpet Outlet team has labored for more than 40 years to make it the most recommended carpet outlet in the city. Proof of their commitment to excellence is the fact that 99% of their business is repeat business. Carla, Nick, and Steve will be able to answer your questions and help you pick out the best option for your flooring and surface needs. There is no question about how well they know their business. Estimates for their work are accurate and reliable. Team members assist you with space planning so your project is done perfectly and with no hassle. No hidden surprises at the end, except for how well the job was performed! Timely delivery for projects is ensured by their superb team of installers. Juan, George. and Cameron work quickly and efficiently. You can rest assured that they will finish their work on time and within budget. Testimonials from their customers tell the story of a company that strives to work for you and deliver quality in both service and product. Look at the reviews on Yelp for reference. Wurts Carpet Outlet also received an A+ ranking by the Better Business Bureau, for good reason. See their BBB profile here! Nothing is softer or warmer than carpet underfoot. Today’s carpet brings revolutionary new fibers and stain resistant technology to make it a practical choice for everyone – from pet owners to families with small children. Carpet can be one of the easiest ways to personalize an environment – its color can be a neutral foundation “in the background,” or it can be a vibrant focal point. At San Diego’s Wurts Carpet Outlet, they offer the finest selection of ceramic tiles from Daltile, Florida Tile and Mohawk. They also offer stone and travertine. Since ceramic tile comes from nature, no two tiles are exactly alike. That is what gives any room with ceramic tile a one of a kind look. Today’s ceramic is durable and easy to maintain. Quarried from the earth, natural stone and travertine are truly unique. There is a wide variety of natural stone in many different sizes and colors. Natural stone is extremely durable and easy to care for, once it has been sealed properly. Travertine is very popular because it looks much like marble, but is less expensive. There are several varieties of travertine, including honed, polished, filled, non-filled and crosscut. 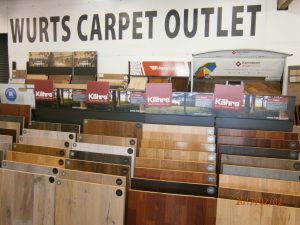 Wurts Carpet Outlet has a wide selection of wood floors for you to choose from, and offer expert installation. From 3/4″ solid oak, maple, and other hardwood species, to the pre-finished engineered or long-strip flooring, they can help you choose the right hardwood floor for your decor, and lifestyle.